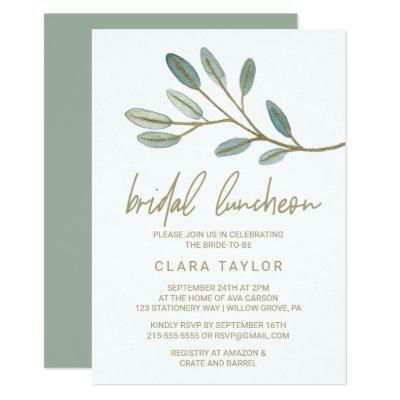 This gold veined eucalyptus bridal luncheon invitation card is perfect for an elegant bridal shower. The simple and dainty design features faux gold glitter layering the branches of olive green leaves. Please Note: This design does not feature real gold glitter. It is a high quality graphic made to look like gold shimmer.